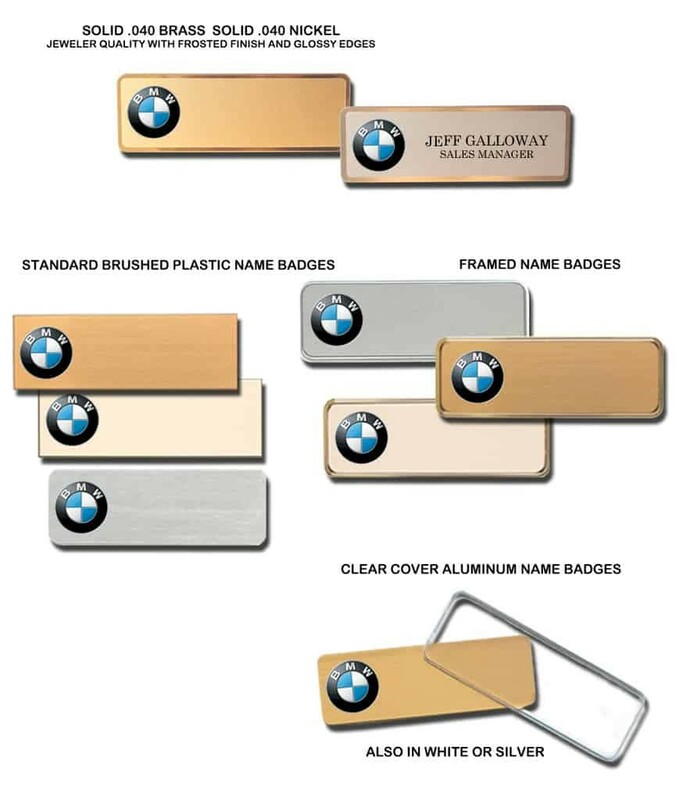 BMW Name Tags and Name Badges. All Badge Designs may be altered as requested. By Name-badges.com Inc.